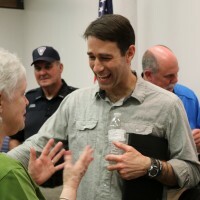 After protesters disturbed a town hall meeting in Metairie, Congressman Garret Graves (R-Baton Rouge) was urged to cancel his town hall meeting planned for the Central Library in Central. But Graves was determined not to allow protesters to alter his plan to reach out to the public and get their views. In Central, Mayor Jr. Shelton and Police Chief James Salsbury were just as determined to make sure the event went off without a hitch. 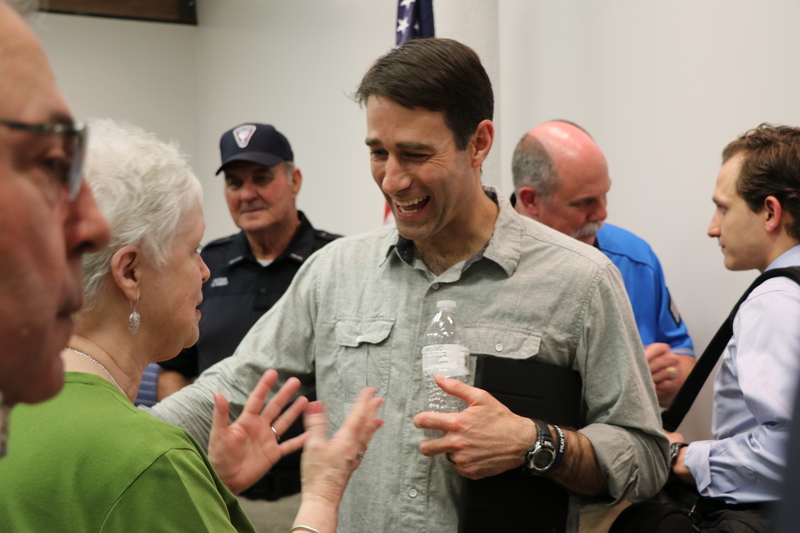 Knowing protesters were coming, Central residents turned out strongly to support Graves. When protesters attempted to shout out questions and provoke an incident, Central residents repeatedly told protesters to lower their volume. When necessary, they spoke up loudly. Through it all, Graves was unfazed and patiently answered every question for more than three hours.